On Wednesday, April 2, I headed out again for another conference – this time, to Boston, Massachusetts, for the National Science Teachers Association (NSTA) Annual Conference. With a focus on K-12 teachers, the NSTA conference “offers the latest in science content, teaching strategy, and research to enhance and expand your professional growth.” The conference is filled with oral presentations that last a half hour to an hour, given by teachers, college faculty that work with pre-service and in-service teachers, administrators, scientific suppliers, and non-profit organizations. There are thousands of people that attend this conference, so I’m sure I will be overwhelmed (yet again!) with information and ideas. I’ll be giving an oral presentation myself, as well as hosting a table to represent an organization that I’m a part of, the Pennsylvania Earth Science Teachers Association (PAESTA) – more of that in my next post! Interestingly, my travels in 2014 have brought me to two state capitals – Austin, TX, and Raleigh, NC. In both cities, I was able to visit and tour the capitol buildings (see my posts for Austin and Raleigh). 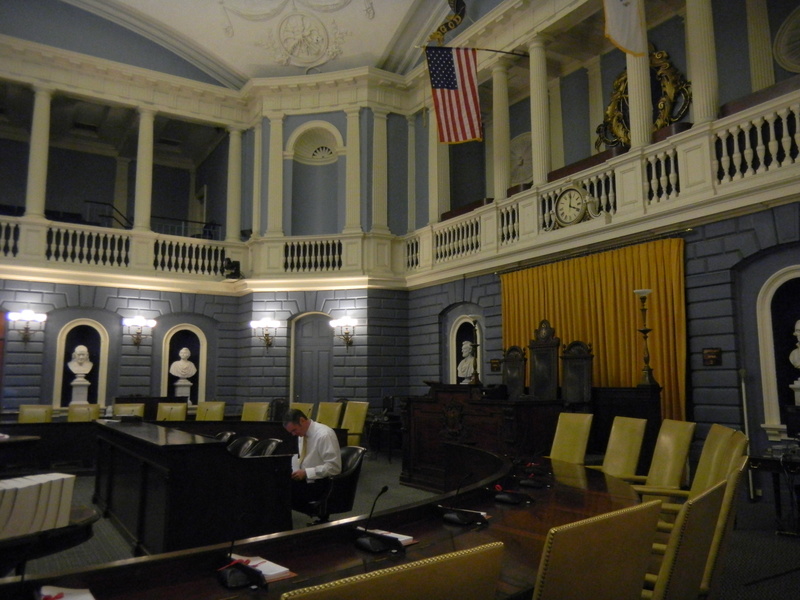 And, it just so happens that Boston is the capital of Massachusetts, so guess where I headed…. I had seen the outside of the Capitol Building before, but I had never been inside. I arrived at the building 10 minutes after the last tour of the day had started, but I was able to quickly find the group and join in. 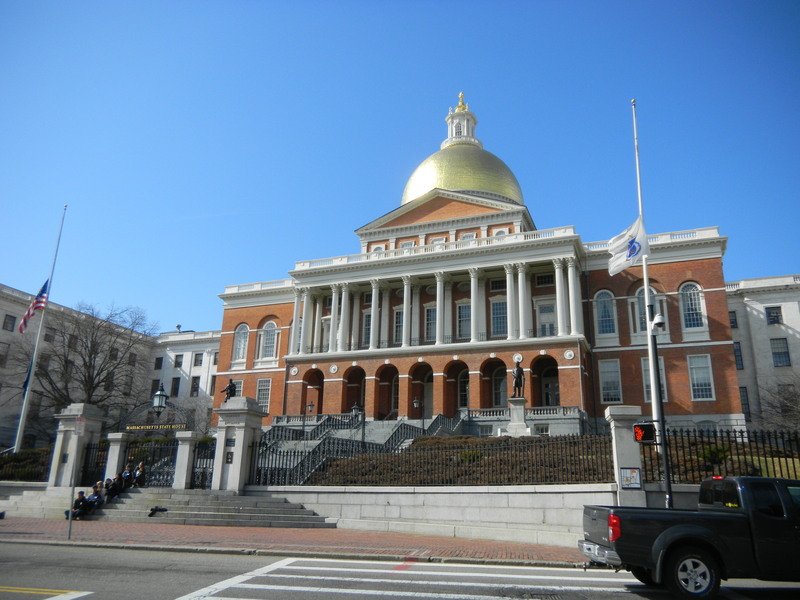 Referred to as the Massachusetts State House, I was fascinated by not only the age of the building but by the historical significance of the many artifacts and symbols that are still in the building today. The Great Hall, which is a new addition to the State House, completed in 1990. 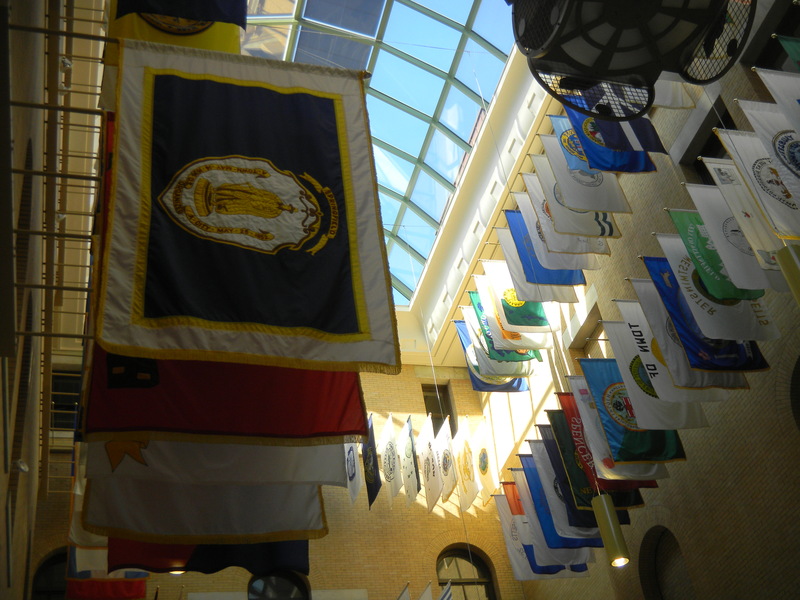 Hanging in this room are the flags of each city in the state of Massachusetts. The one in front on the left is of Springfield – the city where I was born! The State Senate Chambers (not in session on this day). A clock with an interesting story! 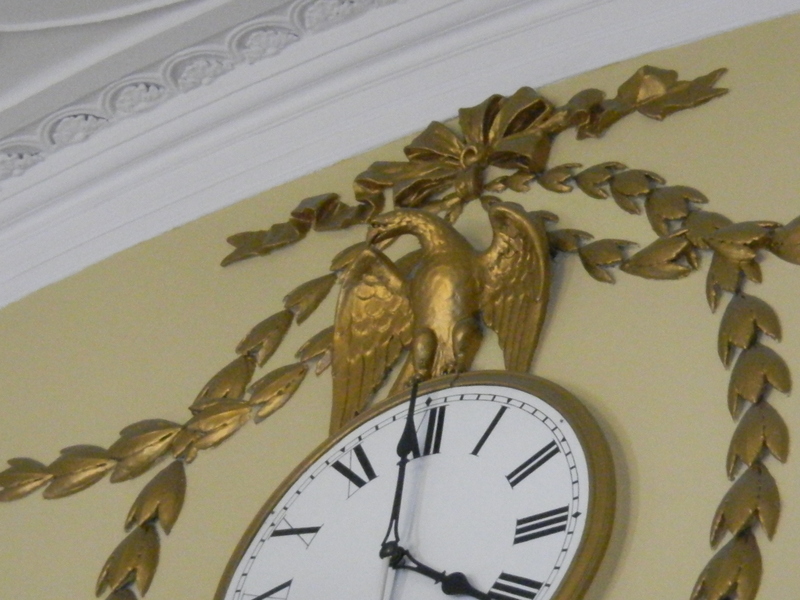 At the time this clock was designed, the nation had not yet settled on a national bird. Since the leading candidates were the turkey and the bald eagle, the artist designed a creature that had features of both animals – so what you see here is not a real animal but parts of two different ones! But in the evening, I went to the convention center to pick up my name badge and program book – time for the conference to begin!